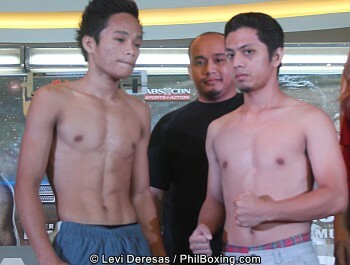 These are the Pinoy Pride 35 weigh in results. 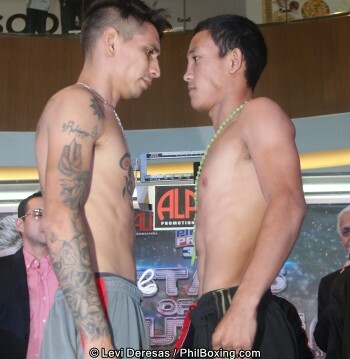 The weigh in respectfully happened at the chic Atrium Robinsons Galeria in Cebu. Albert Pagara weighted in at 120 lbs while his opponent Yesner Talavera of Nicaragua weighted in at 121.5 lbs. 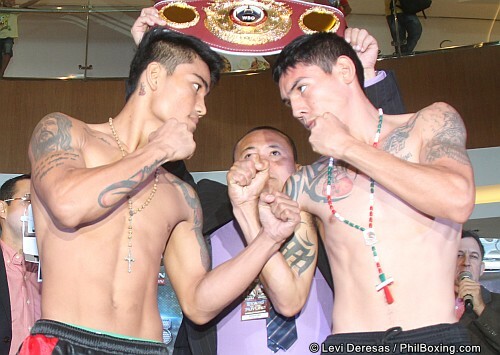 Pagara vs Talavera is for the WBO intercontinental jr featherweight championship. 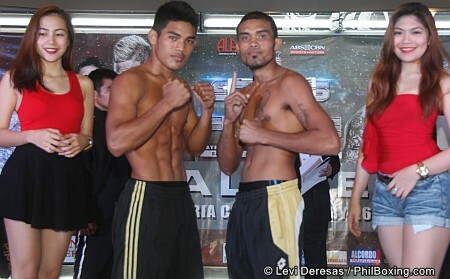 Mark Magsayo and Eduardo Montoya of Mexico identically scaled at 125 lbs. Kevin Jake Cataraja and Tony Rodriguez of Mexico both weighted in at 113 lbs. ALA fighter Melvin Jerusalem weighted in at 105. lbs while Florante Condes scaled at 106.5 lbs. 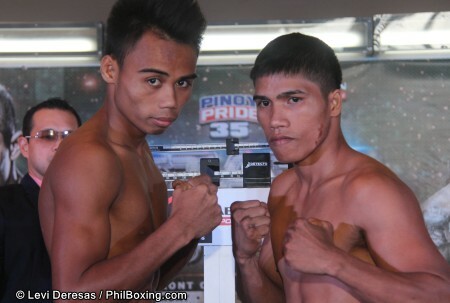 Jeo Santisima of Masbate weighted at 122 lbs while Marco Demecillo of Iligan City scaled at 122 lbs. Elmo Traya of ALA Gym weighted at 150 lbs while Romeo Jakosalem scaled at 138 lbs. New boxer from Singapore Muhammad Radhwin had at 127 lbs and his opponent from Leyte scaled at 126.5 lbs. Esnet Domingo of Sultan Kudarat weighted at 107.5 lbs while Vic Ejercito of Madaue City scaled at 107.5 lbs. You can watch the fight on ABS-CBN Channel 2 on Sunday, February 28, 2016 at 10:15 AM and on ABS-CBN sports and action channel 23 at 9PM.